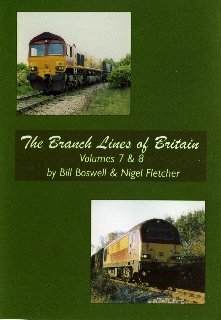 Each volume features between 30 and 40 of Britain’s railway branch lines, many lost forever. Filmed from the late 1980s through to the 1990s, motive power ranges from Class 03 & 08 shunters right up to type 5 diesels such as Class 56 & 58. Denton Jn Ongar Willinton P.S.